FanPictor – Java, SQL and jOOQ. How can I do This? – With SQL of Course! While you could probably pull up a Visual Basic script doing the work or export the data to Java or any other procedural language of choice, why not just use SQL? It’s immediately clear what this fun software does, right? “consecutive” means that within a stadium sector and row, there are adjacent seats with the same (Scene1, Scene2) tuple. We solve this problem with SQL of course – and with a decent database, that supports window functions, e.g. PostgreSQL, or any commercial database of your choice! (you won’t be finding this sort of feature in MySQL). That’s it! Not too hard, is it? 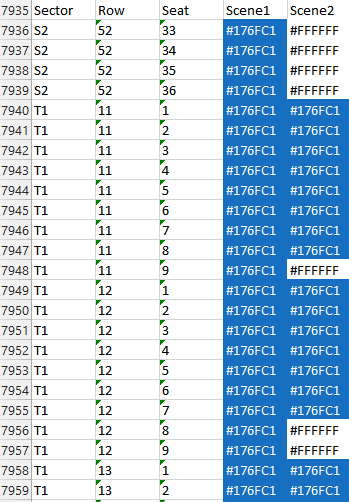 This type can then be used for row value comparisons, saving you a lot of time comparing column by column. The result of the above window function is compared with the previously constructed ROW by using the DISTINCT predicate, which is a great way of comparing things “null-safely” in SQL. Remember that SQL NULLs are some of the hardest things in SQL to get right. The above window function counts all rows that are in the same partition (“group”) as the current row, given the partition criteria. 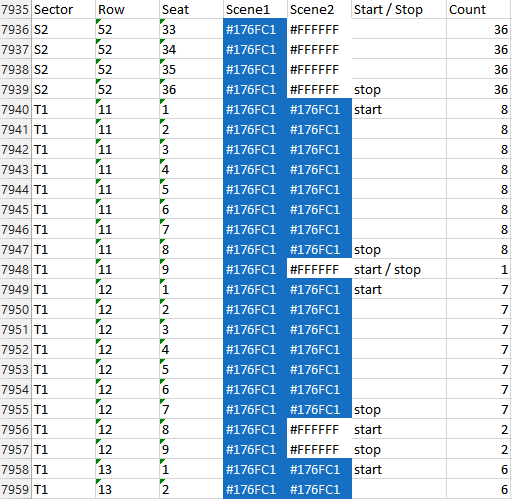 In other words, all the seats that have the same (scene1, scene2) colouring and that are located in the same (sector, row). Note also the use of the SQL standard WINDOW clause, which is supported only by PostgreSQL and Sybase SQL Anywhere. In the above snippet, lag() returns the block value of the previous row given the ordering o, whereas lead() would return the next row’s value for block – or NULL, in case of which we’re glad that we used the DISTINCT predicate, before. Note that you can also optionally supply an additional numeric parameter, to indicate that you want to access the second, third, fifth, or eighth, row backwards or forward. If you’ve been following our blog, you may have noticed that we try to evangelise SQL as a great first-class citizen for Java developers. Most of the above features are supported by jOOQ, and translated to your native SQL dialect, if they’re not available.